Deborah is a social entrepreneur and a human rights activist. She dedicated the last 10 years studying the issue of human trafficking and working on counter-trafficking measures at places like the International Organization for Migration (IOM). Prior to her work at the United Nations, she worked at a renowned European private institute for health. There, she successfully managed the health institute while gaining knowledge and experience in natural therapies and skincare based on Chinese medicine. Deborah founded Aurore to deliver a new and sustainable solution to combat the complex issue of human trafficking. Her focus is on empowering trafficking survivors and at risk individuals through giving work and directly tackling one of the root causes of human trafficking in developing countries like Cambodia. She adopts a bottom-up approach to help decrease the incidence of human trafficking by building stronger communities. She holds a BA in Conflict Analysis and Resolution from George Mason University and a MA in Social Enterprise from the School of International Service at American University. Erin is passionate about creating lasting, positive change in the world. Her interest in social justice issues propelled her career in nonprofit management and has since inspired her transition into social entrepreneurship. She brings four years of experience working with nonprofit organizations and professional associations, with a special focus on corporate partnerships and sales. Erin is a firm believer in the power of cross-sector collaboration to deliver innovative solutions for complex problems. Erin holds a BS in Psychology from the University of Mary Washington and MPA from American University's School of Public Affairs. 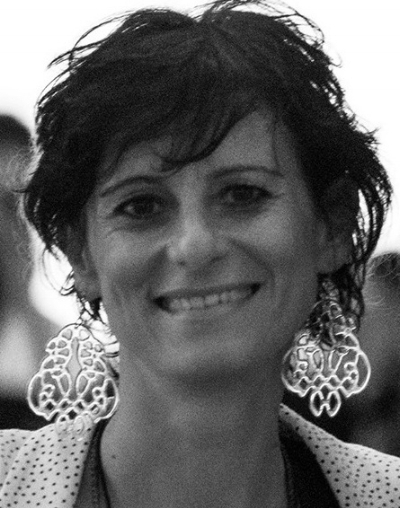 Over the past nine years Stefania has worked in Cambodia, Laos, Thailand, Bangladesh, India and Myanmar both for the European Commission and other International Non-Profit Organizations. This professional experience together with extensive travel in Central and South East Asia has given her a deep understanding of these extremely interesting countries, their economies and political situations, their religions and cultures, people’s desires and aspirations and their attitudes to life. She combines both solid high level management experience with broad knowledge of human rights themes, especially human trafficking , migration and disability. In her work she has always put the needs of the most vulnerable people first, believing that for every problem there is a feasible and successful solution, if the rights conditions are put in place. And so for these reasons she has joined Aurore: strongly believing that to help vulnerable people, living in developing countries, social enterprises are the best model as they combine business and financial sustainability with social impact. She is passionate about nature and natural products for all human well-being and sees Aurore as the perfect coming together of all her passions.